By 2020 1.4 million jobs will be open in computing fields in the US, yet only about 30 per cent of them will be filled with computing graduates, and only 3 per cent of those will be filled by women. Full of stories, resources, strategies, project ideas and tips, this book intends... read full description below. Technology is increasingly shaping the future of our lives and economies. By 2020 1.4 million jobs will be open in computing fields in the US, yet only about 30 per cent of them will be filled with computing graduates, and only 3 percent of those will be filled by women. This is despite women using social media apps 600 per cent more than men. Tomorrow's software will shape how the future develops and our girls are getting left behind. 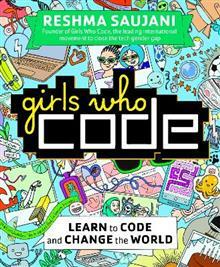 Reshma Saujani founded Girls Who Code to change how girls feel about computers and coding. She discovered that when girls are exposed to inspiring role models and real-life applications of Computer science, they start to see coding as something they can do. Reshma wants to teach one million girls to code by 2020. And has support from Hilary Clinton, Sheryl Sandberg, Mindy Kalingand Jeff Bezos, to do just that. This book is aimed at teenage girls and parents, and demystifies computer science, shows what it's really like to work in this area, and also how much computer scientists can play interesting and important roles in all sorts of industries, ranging from health to fashion to politics. 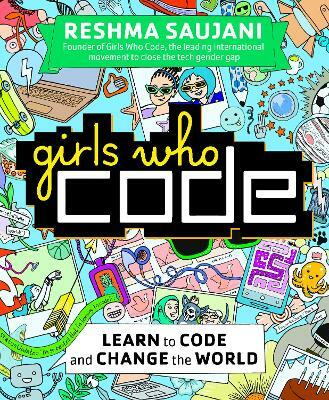 Full of engaging stories, resources, strategies, project ideas and tips, this is an essential, accessible book and the start of a movement to get girls coding. Reshma Saujani is the founder and CEO of GirlsWhoCode and the former Deputy Public Advocate of New York City. She has been featured in the New York Times, Time Magazine, the Wall Street Journal, along with many other media outlets.